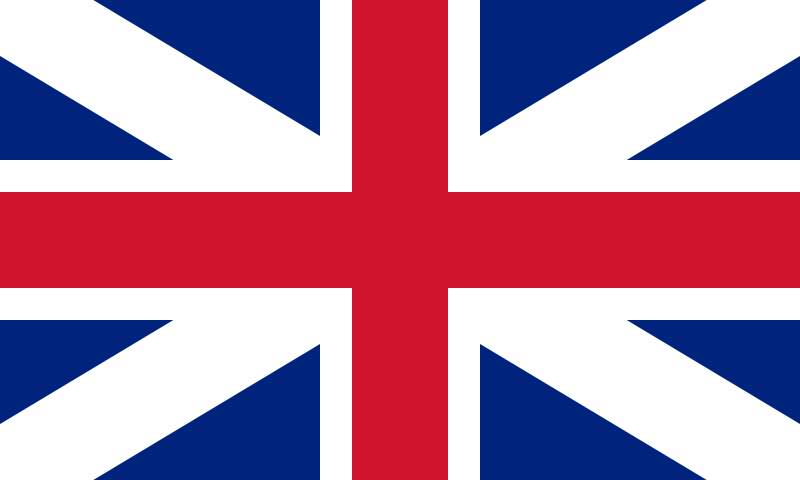 English: The pre-1801 Union Flag (of Great Britain). Note the term "King's Colours". This term is used by US-based flag makers and sellers because this was one of the flags used by the King's forces during the American Revolutionary War. Français : Drapeau du Royaume de Grande-Bretagne. 06:34، 1 يناير 2006 450 × 300 (3 كيلوبايت) Zscout370 The flag ratio back in the 1600's was 2:3, not 1:2. 04:16، 12 أكتوبر 2005 1٬000 × 500 (2 كيلوبايت) Hoshie The pre 1801 Union flag. The original flag is from the [http://www.sodipodi.com/clipart/flags/uk.svg 1996 Sodipodi flag collection]. Colors have been improved from [http://www.vexilla-mundi.com/united_kingdom.htm vexilla mundi].